to create a new custom list following several tutorials I have seen on the net to little success. I have tried the "Alexa create new list" command and get "I am not quite sure how to help you with that"
but there is no option to '+ Create New List' as shown below. Do I need an addition skill to create new lists? In the screenshot you attached, there is an option directly above the Shopping list to create a list. It is prefaced with the "+" icon. 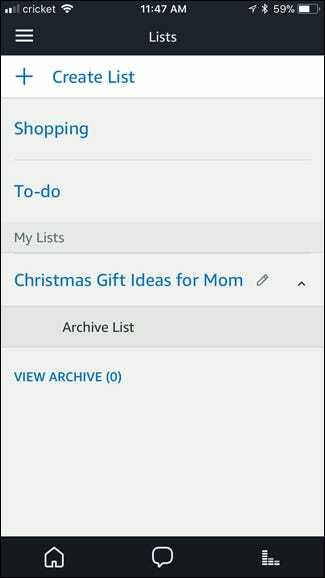 I think Phil may have got the screen shot from an Amazon.com site, the option shown "+ create list" does not appear on either my app or the internet link. Perhaps this is one of the many things not yet available in the UK. It would be a useful addition. I got the screenshot from this tutorial on how to create a custom list. The ( + Create List) does not appear in my Alexa App as shown in the screen shot. Yes that is a USA site which may not reflect what is available in the UK.